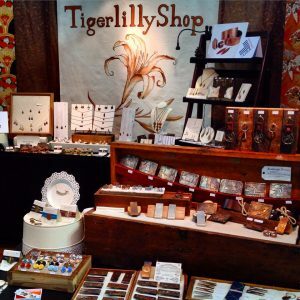 The TigerLillyShop is run by Allison Fomich, an artist creating jewelry and men’s accessories from their studio in Baltimore City. She is inspired to make her work from her time seeking out the places in her city where the urban landscape and nature meet. 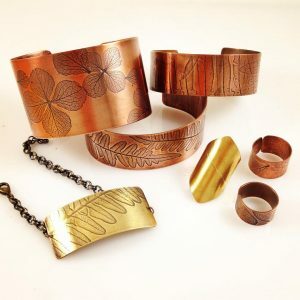 Since 2005 she has been creating botanical jewelry, men’s accessories, and kimono button accessories. 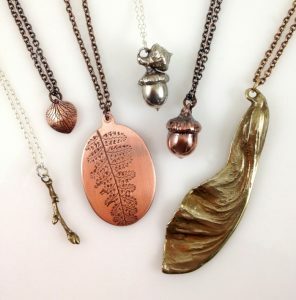 Allison collects nature specimens to press into metal for one of a kind jewelry. In her city garden and surrounding parks, she watches the passing seasons and creates pieces from the objects she collects there. Allison has an MFA in Sculpture from Edinboro University of PA, 2003. She also earned her BFA from the Maryland Institute College of Art. She started Tigerlillyshop jewelry line in 2005. You can find her shop in the Mount Vernon Marketplace as well as at local art markets and indie craft fairs on the east coast. 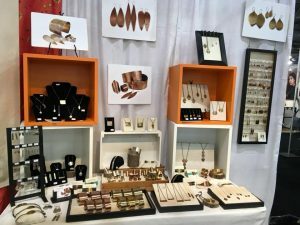 Annually, Tigerlillyshop participates in wholesale trade shows so that boutiques, galleries, and shops across the US can carry the work.